Company: S. C. Johnson & Son, Inc. 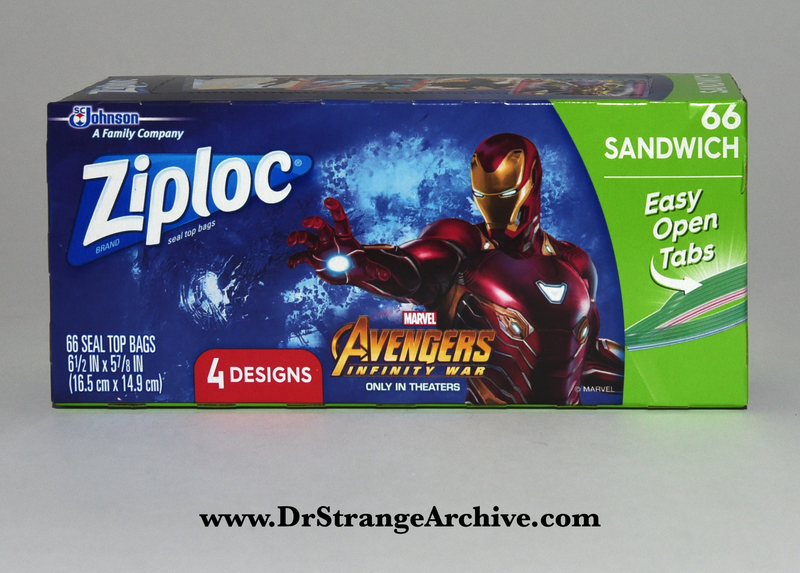 Description: This is a box of 66 sandwich size Ziploc baggies with four different Infinity War Avengers characters printed on the baggies: Dr. Strange, Iron Man, Gamora and Thanos. 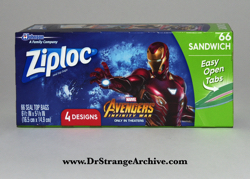 The box contains 66 baggies.